Score Sweet Deals on Stuff You Love. Awesome Member-only offers on food, fun and fashion. Get More When You’re On the Move. 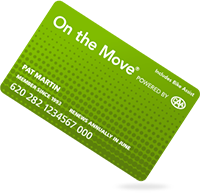 Special deals on the move at 124,000 stores, restaurants, attractions and services worldwide when you use your card. It’s that easy. The ultimate destination for relaxation.